Established in 2005, Wrightstown Family Medicine offers a wide range of comprehensive primary care services for infants, children, youth, and adults. The physicians also make home visits (within a 5 mile radius) and personally answer phone calls in the evenings and weekends. In 2015, our office moved to a new location. Our mission is to provide quality care to our patients in a nurturing environment. We value each person’s uniqueness and respect their concerns. We are currently accepting new patients, so please call to make an appointment and we look forward to seeing you soon. We are committed to providing you with the best possible care. We also offer alternative/complementary medicine and accupuncture. Our modern practice uses a certified Electronic Health Record (EHR) and we send our prescription orders through an e-Prescribing system. This allows us to send prescription orders and refills directly to the pharmacy using our computers. Dr. Caracappa received his bachelor’s degree at Penn State, graduated from the Philadelphia College of Osteopathic Medicine, and completed his family medicine residency at Reading Hospital. 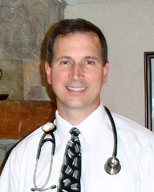 Dr. Caracappa is board certified in family medicine and has been in practice for over 20 years. He is a lifetime resident of Bucks county and he is the father of five children. In his spare time, Dr. Caracappa enjoys playing basketball and camping with his kids. 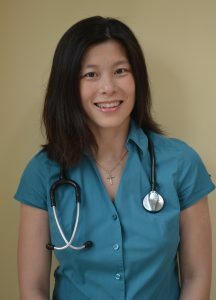 Dr. Kim received her bachelor’s degree at MIT, graduated from Drexel University College of Medicine, and completed her family medicine residency at the University of Pennsylvania in 2007. 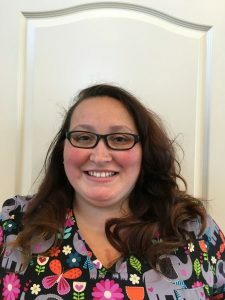 She is board certified in family medicine and lives in Newtown with her husband and their four children. Dr. Kim played field hockey and lacrosse in high school and college. She enjoys reading and music in her spare time. She even found time to train and run the Philadelphia Marathon in 2010! Visit her blog at PhysicianMom.com. 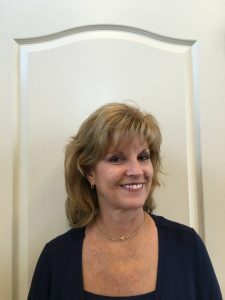 Shannon received her Bachelor’s degree in Biology from Messiah College and graduated from Drexel University’s Physician Assistant Program with her Master of Health Science degree. She is board certified by the National Commission on Certification of Physician Assistants. She is also certified by the National Registry of Certified Medical Examiners to perform physical exams on commercial motor vehicles drivers. She currently resides in Buckingham and enjoys exercising, yoga and volunteering in youth ministry in her spare time.